But she is perhaps most often recognized as the woman who plays the piano in the Winship lobby on Thursday afternoons. A gift made to Winship in her honor helped purchase the baby grand,but music is only one of Nease’s many contributions to Winship. As a cancer survivor, Nease brings personal experience to her commitment both to cancer research and to improving the individual patient experience. Reflecting Winship's mission to treat the whole patient, physically, emotionally, and spiritually, Nease commissioned a painting that hangs in a Winship waiting area and funded the refurbishment of Winship's Purdom Chapel, dedicated to the memory of her son, Lawton McDonald Nease IV, who passed away from non-Hodgkin lymphoma. 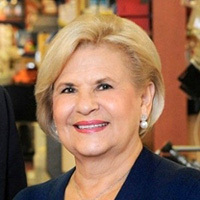 Her on-going commitments include serving on the Winship Advisory Board, helping fund an annual Melanoma Symposium, and the establishment of the Brenda Nease Breast Cancer Research Fund. "This fund is not about me," Nease says, "it is about the people who will benefit. It is about the desire to help others in the same situation I was in after my diagnosis. If I can improve any part of this experience for patients that is my calling." 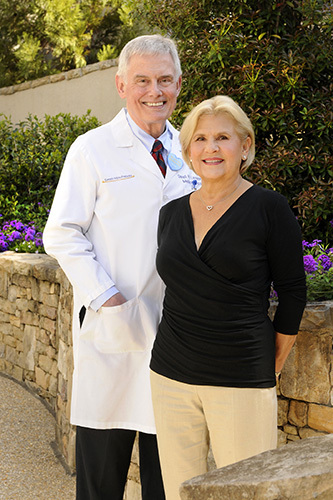 "Mrs. Nease faced cancer in her own life with grace and courage," says medical oncologist David Lawson, MD. "It is very gratifying to see the difference she makes for others through her gifts." Brenda Nease with Winship medical oncologist Dr. David Lawson.